This November, the University of Bristol took part in the Economic and Social Research Council’s (ESRC) national Festival of Social Science. Bristol’s branch of the festival is called Thinking Futures and this year it focused on four key themes; The Future of Food, Transport, Work and Community Spaces. 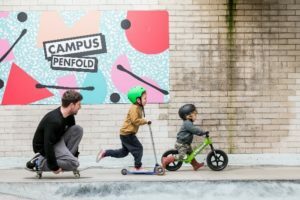 The University wanted to use the platform of the festival to generate meaningful and lasting relationships with specific communities in Bristol. With this in mind, the Thinking Futures events were run in partnership with community groups, such as Ambition Lawrence Weston, a group committed to making their neighbourhood a better place to live, and Campus Pool, previously a council owned swimming pool that became an indoor skate park through a community asset transfer process. 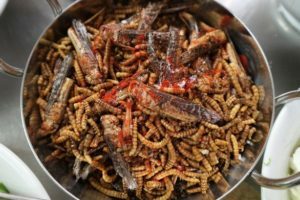 The disgust reaction evoked by eating insects was explored in The Future of Food, with Professor David Hunt, catering students from Bristol City College and Bristol chefs transforming mealworms, grasshoppers and crickets into culinary delights. 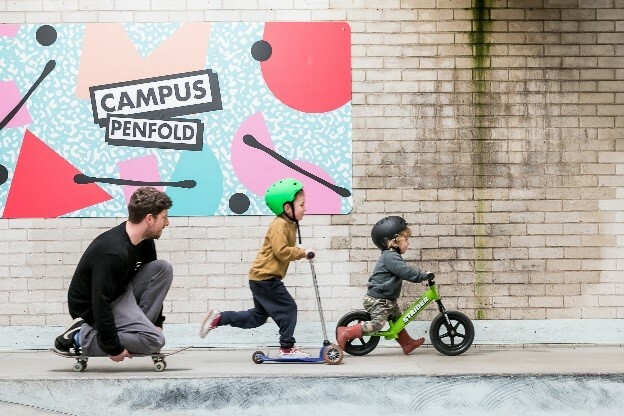 By contrast, the Future of Community Spaces took the form of a fun day at Campus Pool for everyone from toddlers to families, skateboarders to those who have only ever used the building as a swimming pool. They skated, sang and ate cake (no creepy crawlies in sight!) whilst discussing with Dr Malu Villela Garcia how the building has helped shape and re-shape the Bishopsworth community. The University worked with Ambition Lawrence Weston for The Future of Transport event to explore how public transport affects our sense of belonging to a city. Lawrence Weston is just a 15 minute car drive from Bristol City Centre, and yet it takes upwards of one hour by public transport. 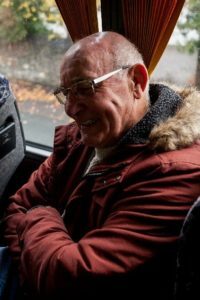 Professor Jon Fox, a group of student researchers and the community group travelled the familiar but slow bus route, stopping at various points along the way to discuss their connection to that part of the city and how public transport access affected them. The Future of Work comprised of three different events, which involved working with The Bristol Port Company and Avonmouth Community Centre. The event asked dockworkers past and present what is in store for the future of docking. Photographer Sarah Robbins took a series of portraits of a group of dock workers which were displayed in the M Shed, alongside oral histories from people we spoke to and historic recordings. After such a successful series of events, we decided that we would like to host something that was open to all so that we can share and celebrate all that has been achieved, and thank those involved. If you are interested in finding out more about Thinking Futures, please join us for this month’s Green Mingle. The Green Mingle will take place from 5.30 – 7.30pm on Thursday 6 December at Salt Cafe on Gas Works Lane – no booking required. Learn more here.